The real estate market has seen an interesting set of trends throughout 2013. Across the country, sales soared during the month of May, taking a dip through June and July as mortgage rates increased dramatically. 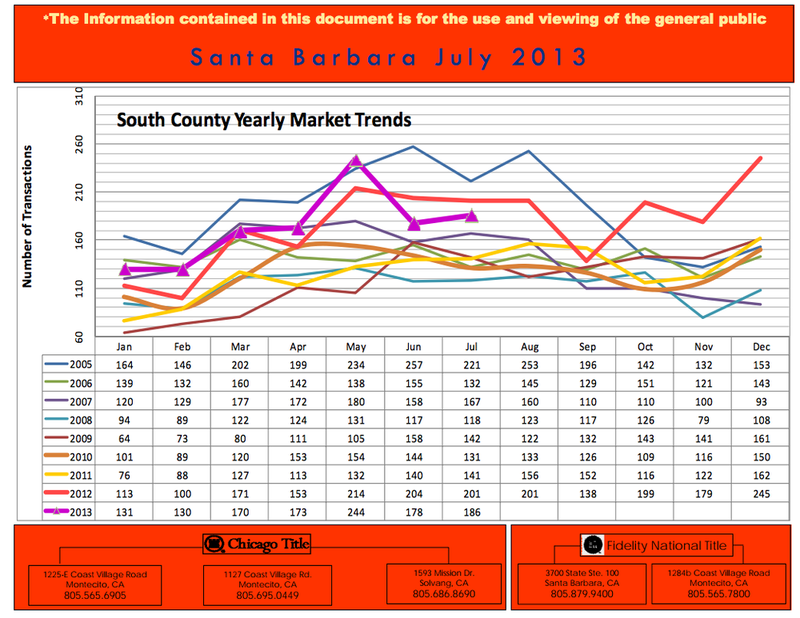 Santa Barbara County's southern region mirrored these trends with May 2013 showing the highest number of sales in the last eight years followed by a hefty decrease during June and July. However, this lull in the market has not worried agents or industry experts. Last year was an incredible year for the market, showing significantly higher sales than several years prior nearly each month, and 2013 has followed this trend showing higher sales each month year over year up until June. Housing prices have increased with increased demand throughout much of 2013 while inventory has remained low. The second half of 2013 is forecasted to be as active in the market as the first two quarters so long as mortgage rates remain at a manageable level. A healthy housing market is in direct proportion with a healthy overall economy reports Forbes Real Estate!